The 2016 Porsche Cayenne is the perfect mix of luxury, sportiness and ruggedness – all that you will need in a high-end luxury SUV. When you drive the Cayenne, you can expect all the features that you get normally in a Porsche, in terms of performance and handling. The base model comes with a 300-hp V-6.Next one higher up the line is the S that comes with a 420 HP, and finally, the GTS comes 440 HP output, both using a 3.6-liter twin-turbo V-6. A special S E-Hybrid version is there that comes with a 95 HP electric motor. All the variants come with an eight-speed automatic and all-wheel drive. One of the most convenient options for the 2016 Cayenne is on the fly charging that keeps the engine running to recharge the 10.8 kWh battery. This does cut down fuel economy, but only for the first twenty miles or so. The electric motor itself gives a mileage of 14 miles. Combined with the gas engine, you when you commute for 20 miles or so each day, you will actually end up saving fuel. Charging a battery is much more fuel efficient than going 14 miles on city roads. The console comes with a handle E-Charge and E-Power buttons that allow quick charging and switching on the fly. The car, by default, starts up in the hybrid mode, and you can switch that via the console. While running small distances on hybrid mode, and with the on the fly charging, you can improve your fuel economy up to twenty percent. • The powerful engine with a standard electric motor is what gives the 2016 Cayenne a competitive edge. The electric motor is actually less powerful than that of many other hybrid crossovers. However, the way the electric part complements the gas part is what makes Cayenne excel. • The car goes 0 to 60 in 5.7 seconds with only gas, and in 5.4 seconds in hybrid mode. The performance decreases with charge, but then again, you can recharge the battery on the go. • Recharging the battery even when going at 70 or 80 mph does not show any performance decrease, and the battery still charges steadily. 420-hp 3.6-liter twin-turbo V-6 is powerful enough to charge the battery and maintain the speed of the car. • The Cayenne comes with a hefty price tag. It keeps going up the more optional features you take. Audi and BMW have a similar feature set to their vehicles with some drawbacks, but a lot lower price tag. • The e-Hybrid EPA rating for the Cayenne S is 20 mpg, whereas that of the e-Hybrid is 22 mpg. In real life, the numbers may come down to be a bit lower – something like 21, but a bit better than 20. That increase in fuel efficiency may not appeal to many who are looking for greener vehicles. 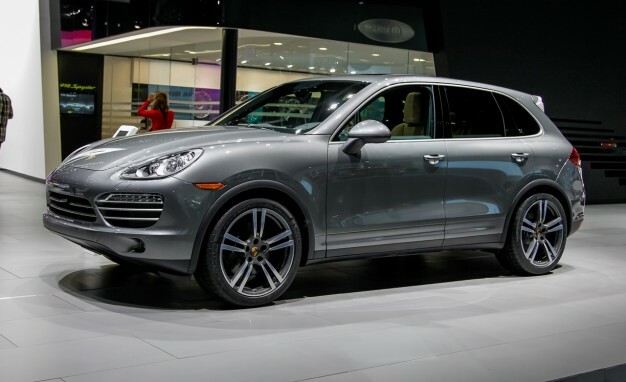 The 2016 Cayenne’s hybrid edition is what sets it apart from the diesel ones. Electric only performance is still poor compared to other high-end electric only vehicles, like that of Tesla. But with a powerful engine and the optional electric motor, it can be both a heavy duty car that can take on serious curves as well as work as a family vehicle.